Outdoor folding table with a Robina Teak tops and durable Black powder coated frame. Suitable for commercial use and in stock for a quick delivery. 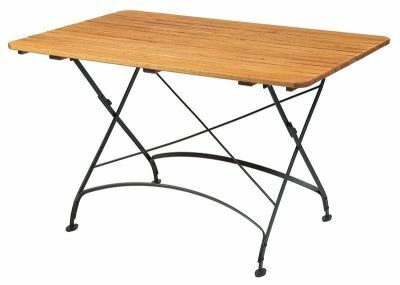 Traditional style bistro folding table with wooden Robina top Treat regularly with a teak oil to maintain looks and performance.